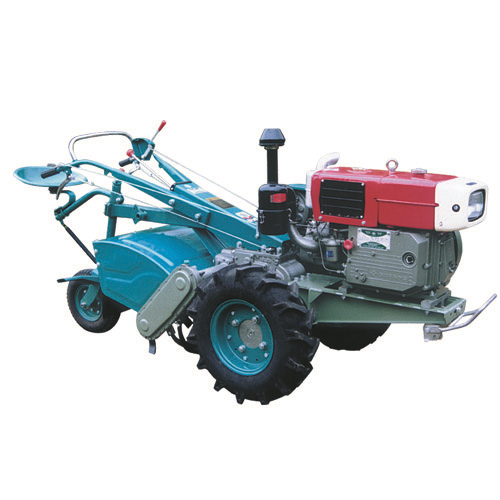 SIFANG brand Walking Tractor Model GN121 is designed for pulling and driving. The model features output at high and low speed, compactness and simplicity of construction, easy control and steering, light weight, rugged durability and reliability. It is suitable for working in dry and paddy field, orchard and slightly hilly land completed with driver’s seat and farm implements, such as plough, rotary tiller, disc plough, ditcher and harvester etc. Walking Tractor Model GN121 can also be used as transportation vehicle matched with trailer and as a power in the rural area for stationary work such as pumping, spraying, feed grinding, flour milling and trenching etc.